Call to Me and I will answer you and show you great and mighty things, fenced in and hidden, which you do not know (do not distinguish and recognize, have knowledge of and understand). Confess to one another therefore your faults (your slips, your false steps, your offenses, your sins) and pray [also] for one another, that you may be healed and restored [to a spiritual tone of mind and heart]. The earnest (heartfelt, continued) prayer of a righteous man makes tremendous power available [dynamic in its working]. "·Also [Again], I tell you that if two of you on earth agree about something ·and pray for it [L?for which you have asked], it will be done for you by my Father in heaven. And Jesus, replying, said to them, Have faith in God [constantly]. Truly I tell you, whoever says to this mountain, Be lifted up and thrown into the sea! and does not doubt at all in his heart but believes that what he says will take place, it will be done for him. For this reason I am telling you, whatever you ask for in prayer, believe (trust and be confident) that it is granted to you, and you will [get it]. For all of your prayer need, feel free to email, leave prayer request or call us for your prayer needs, We believe in the power God, the Father, our Savior and Lord Jesus Christ, the power of the Holy Spirit and the assistance of God chosen ones, the Angels to assist in attending to the needs of those who call up us to minister. We have ministry tools, to offer in faith building, feel free to request, Prayer Kits, Oil, Prayer Clothes. Also, you may request appointments for Counseling. You may Contact Rev. 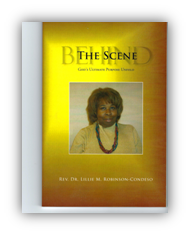 Dr. Lillie M. Robinson-Condeso D.D. for any of the above products. This network is designed to allow the subject of individual's feels regarding thinking, how one thinks, what one thinks and why? Those areas that trouble many people. Question, what are your thoughts on what is happening today in our world? 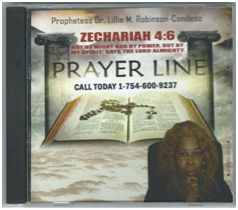 Â© 2013 L. Robinson-Condeso Ministries, Inc. All Rights Reserved.